Banding & Identification (ID) Solutions Africa asserts that its participation in Electra Mining Africa 2018 at Nasrec, Johannesburg in September was a resounding success. The company was represented at the exhibition by Sales Director Rosa Dos Remendos, Sales Representative Matthew Campbell, and Internal Sales Representative Matthews Serudu. Dos Remendos highlights it was important for single-product customers to see for themselves the complete solutions that Banding & ID Solutions Africa offers. “We are able to tailor solutions that are best suited to the needs of our customers. We provide regular training, as well as comprehensive aftermarket support. We also work closely with our distribution partners to form strong and lasting customer relationships. This ensures that distributors have confidence in taking our product to market due to the inherent quality assurance,” Dos Remendos adds. The team ran regular demonstrations of its Ball-Lok, Tie-Lok, Multi-Lok, and Ultra-Lok cable ties. 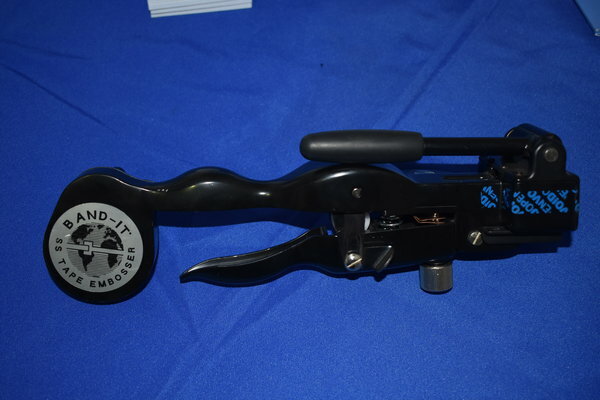 The company’s identification solutions were showcased by means of its embossing tools. In addition, the full range of Band-It stainless steel band-and-buckle systems and preformed clamps were displayed, which are applicable for a diverse range of applications in the mining industry, including general maintenance. 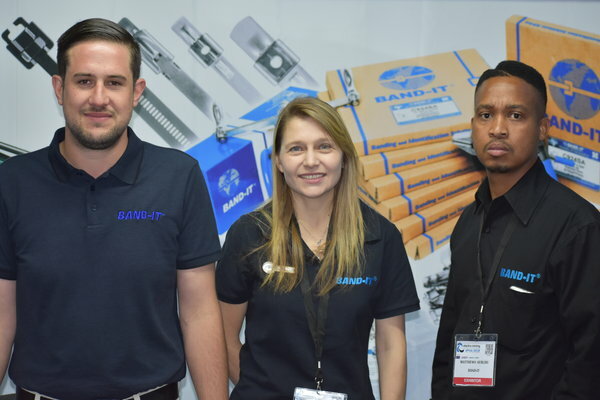 A value-added benefit of being an exhibitor is that it allowed Banding & ID Solutions Africa to visit its own customers who had stands, as well as to source potential new distributors for its wide product range. “The fact that the exhibition attracts delegates and exhibitors from Africa was particularly important to us. A main challenge of the export market, particularly into the rest of Africa, relates to having credible in-country partners,” Dos Remendos highlights. 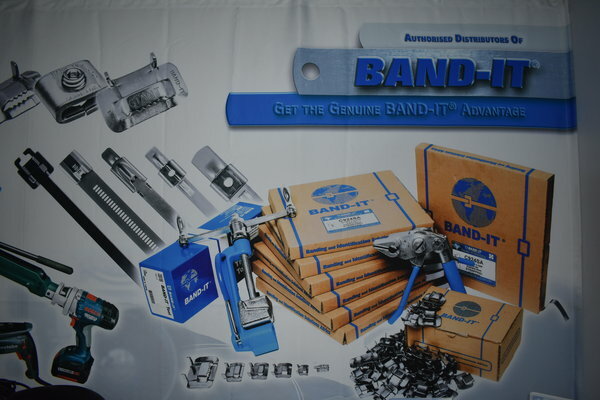 Apart from brand visibility, credibility, and customer outreach, the exhibition also allowed Banding & ID Solutions Africa to run an awareness campaign about the value of using genuine Band-It parts only. These are branded specifically, with part numbers, sizes, and thicknesses clearly identified. In addition, the diamond-shaped symbols imprinted on the bands act as a guide for end users to achieve the correct tension during installation. Boxes also state clearly that the stainless steel used is Grade 304, which is critical, as this means the product will not cause electrical interference. Safety labels are included, which are mandatory for major end users. The job card numbers on the boxes ensure traceability, while an accompanying test certificate also facilitates full tracking. “All our products also advertise that we are a member of the Southern Africa Stainless Steel Development Association (SASSDA), which indicates our commitment to the development of the industry, and complying with all applicable regulations and benchmarks,” Dos Remendos concludes. 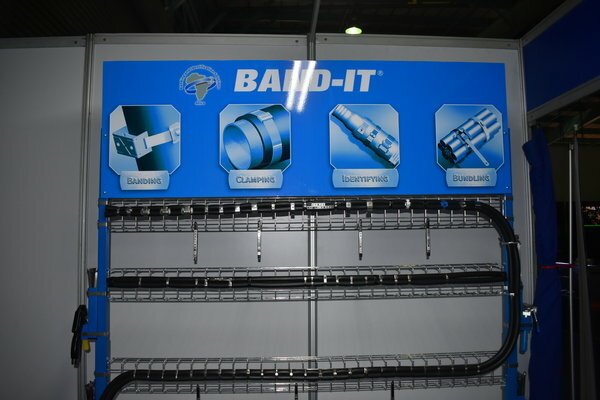 Banding & Identification Solutions is the African distributor of USA-based Band-It – a leading manufacturer of a full range of stainless steel band, buckle systems, preformed clamps and cable ties for numerous applications.